In large bowl, combine all salad ingredients except soup mix; toss to mix. Discard seasoning packet from soup mix or reserve for a later use. Crumble ramen noodles; add to salad. Add dressing; toss to coat. 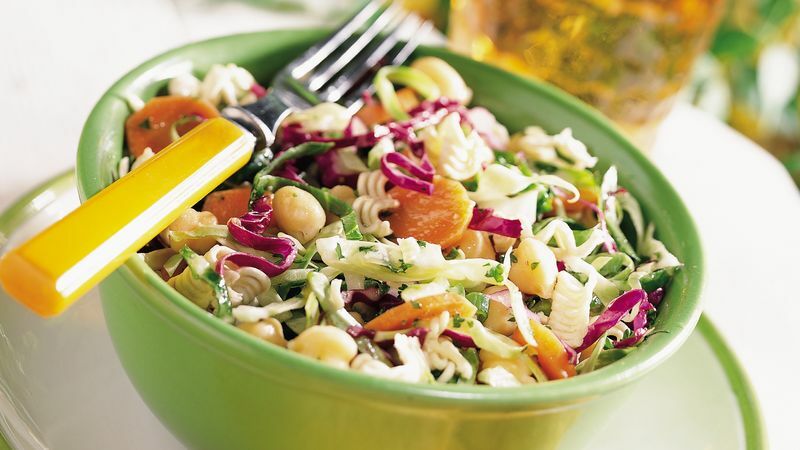 Quick Fix In a pinch, 4 cups of purchased coleslaw blend can be substituted for all of the cabbage. These bags of coleslaw blend are available in the produce department next to the other bagged salad blends.